Oracle State Park is a nearly 4,000-acre environmental education park and wildlife refuge with about 15 miles of hiking trails through the oak grassland, mesquite scrub and riparian woodland habitats. By reservation, the park offers educational programming and guided tours to schools and other similar organized groups. At this time, the park is for day use only. For 75 years, this property was owned and operated by the Kannally's, one of Arizona's pioneer ranching families. In 1976, members of the family gave the property to the Defenders of Wildlife, a wildlife conservation organization. The Defenders of Wildlife then transferred title to the property to Arizona State Parks in 1986 with the stipulation that the property continue to be managed as a preserve: to "protect the designated wildlife refuge and act as an environmental learning center." Oracle State Park Headquarters is located in the Kannally Ranch House, a historic, 4-level adobe house museum filled with vintage photos and original art. Guided tours of the Ranch House are offered only on weekends and holidays. Oracle State Park is open every day except Christmas Day, from 7:00 AM to 5:00 PM. Oracle State Park is about 45 minutes north of Tucson near the town of Oracle in the northern foothills of the Santa Catalina Mountains. 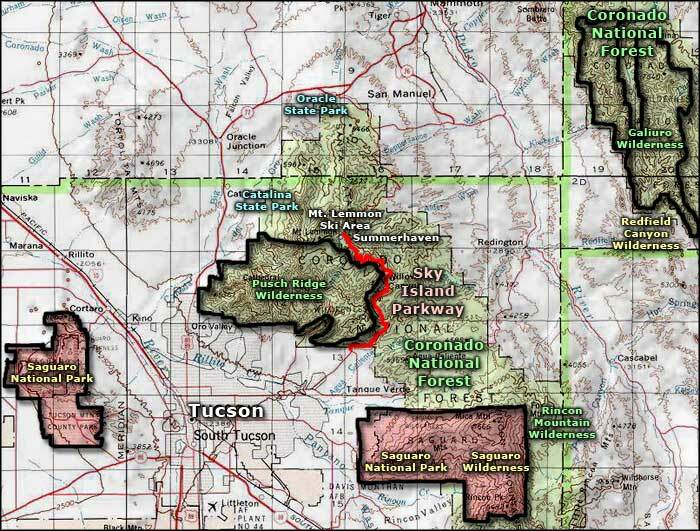 Update 2010: Oracle State Park is not one of the nine state parks that the State of Arizona has decided to keep open. All the staff have been removed to Catalina State Park and Oracle State Park is essentially locked down. The four-mile stretch of the Arizona Trail that crosses Oracel State Park is open and there is some small amount of parking available at the north and south entrances of that trail to Oracle State Park. The Friends of Oracle State Park (a 501(c)(3) non-profit) are still raising funds and working to restore the Kannally Ranch House on their own.